Our purpose is for you to be so outrageously happy with the help we give you, that you'll gladly introduce us to your friends and family when they have a real estate need. Working this way, mostly by referral only, has put us in the top 5% of all Coldwell Banker Agents. This allows us to dedicate more time for you, our clients, not spending hours of time looking for new clients. You'll truly be able to say that you have a friend in the real estate business! Information deemed reliable but not guaranteed. Information is provided exclusively for consumers' personal, non-commercial use and may not be used for any purpose other than to identify prospective properties the consumer may be interested in purchasing. This data is up-to-date as of Apr 24, 2019 4:35:am. The data relating to real estate for sale on this web site comes in part from the Broker Reciprocity program of the Multiple Listing Service of Greater Cincinnati. Real estate listings held by brokerage firms other than the owner of this page are marked with the Broker Reciprocity logo and detailed information about them includes the name of the listing brokers Copyright © 2019, MLS of Greater Cincinnati, Inc. All rights reserved. 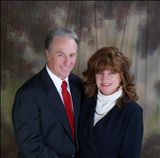 Jody and Bob have over 35 years of real estate sales experience, with additional expertise as investors and property managers. They are very knowledgeable about most areas of town with special emphasis on the Northeastern areas of Cincinnati. Bob also brings his experience as owner of one of the Greater Cincinnati Area's most successful Snap-On Tool franchises for 29 years. He attributes his successful track record to developing strong relationships with his clients, listening to their needs and helping them achieve their business goals. They like to travel, take ballroom dance lessons, volunteer at church and participate in many community events. Jody and Bob have 3 grown children between them, and many friends and family in the area that they enjoy spending time with. Jody and Bob truly believe that their clients' needs should always come first. "No one cares how much we know..... Until they know how much we care".